more beasties eating the poor Filipendula. Interestingly this site always seems to have severe out breaks of something on either the Filipendula or Sanguisorba. 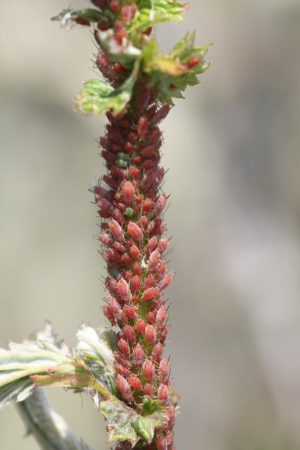 the filipendula had large numbers of aphids, catterpillars and mildew. previously sanguisorba was completely covered in mildew.